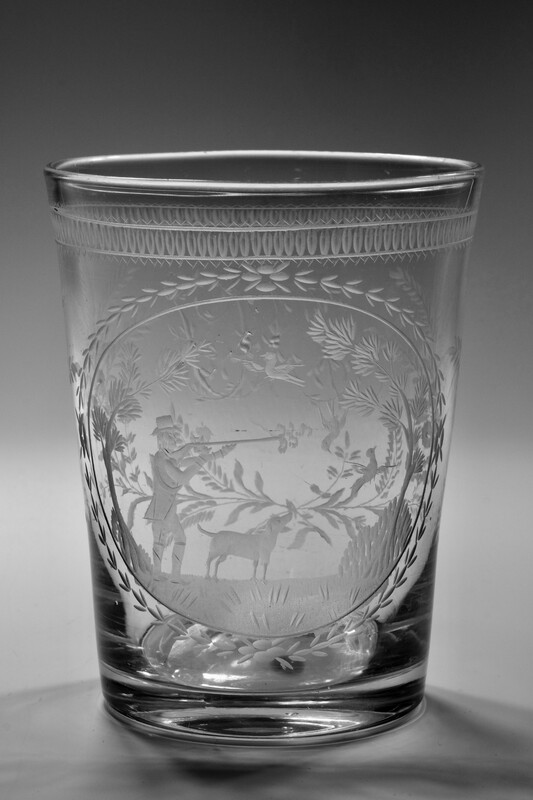 Large hunting tumbler the body engraved with a shooting scene within a floral cartouche. The reverse engraved initials (believed to be JMT) the side panels profusely engraved with floral sprays and a dog toothed and stylised tulip border. 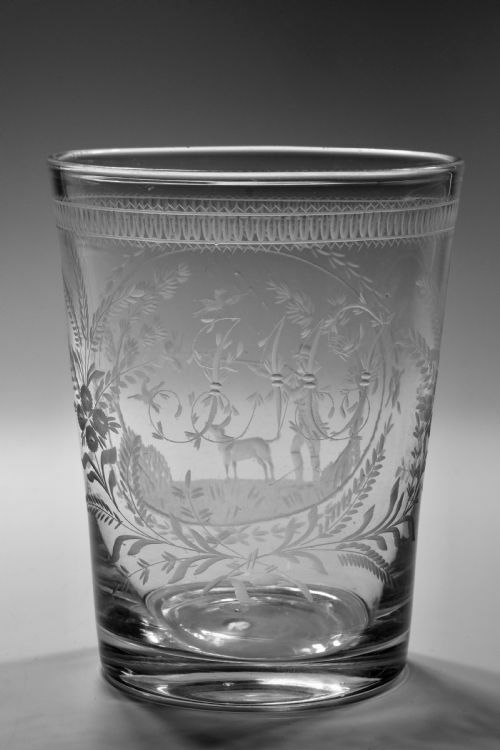 English C1800. Note: A fine hunting / shooting tumbler. 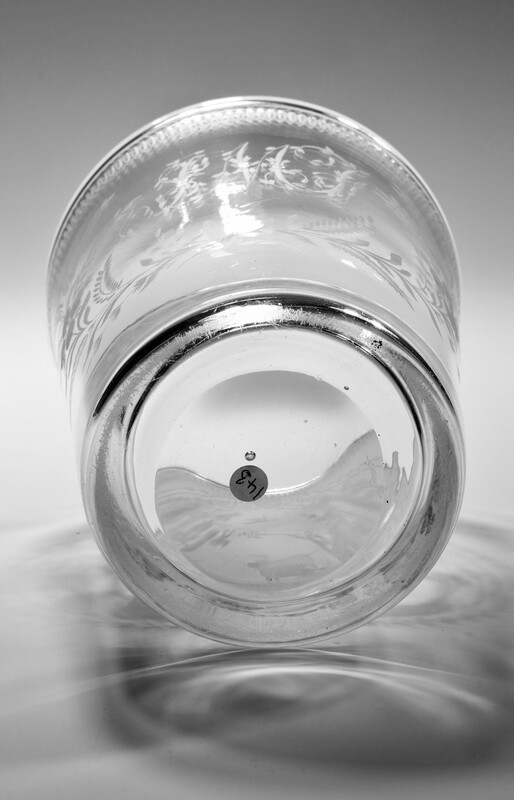 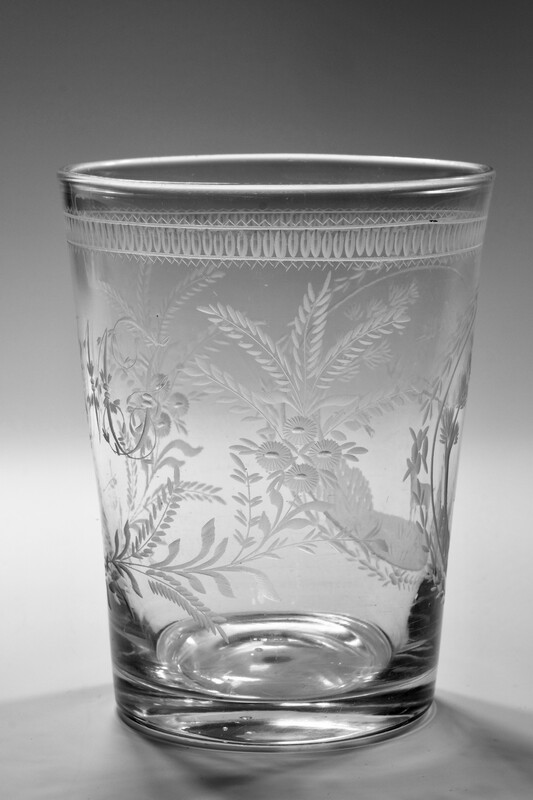 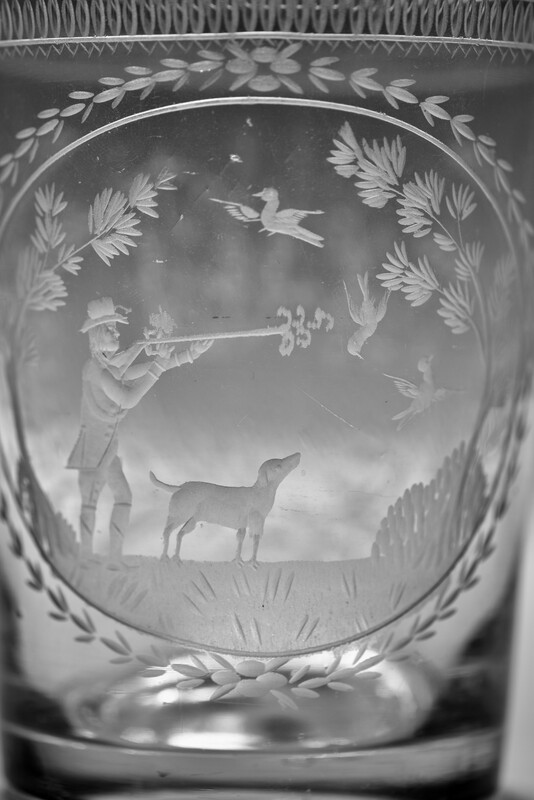 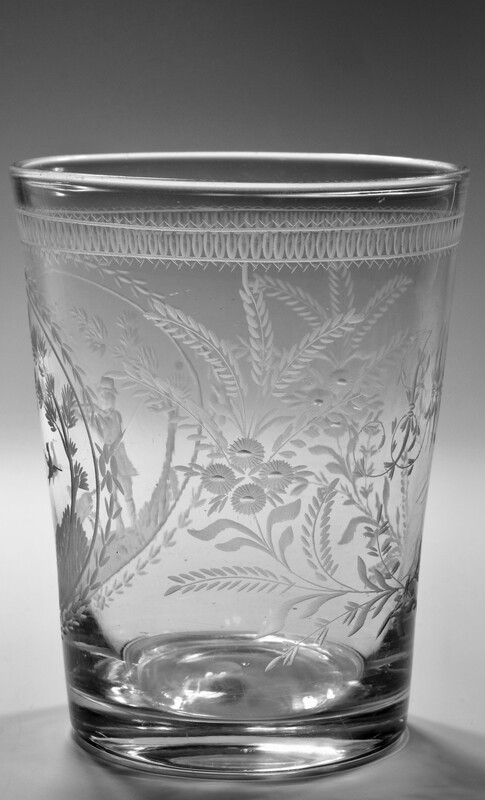 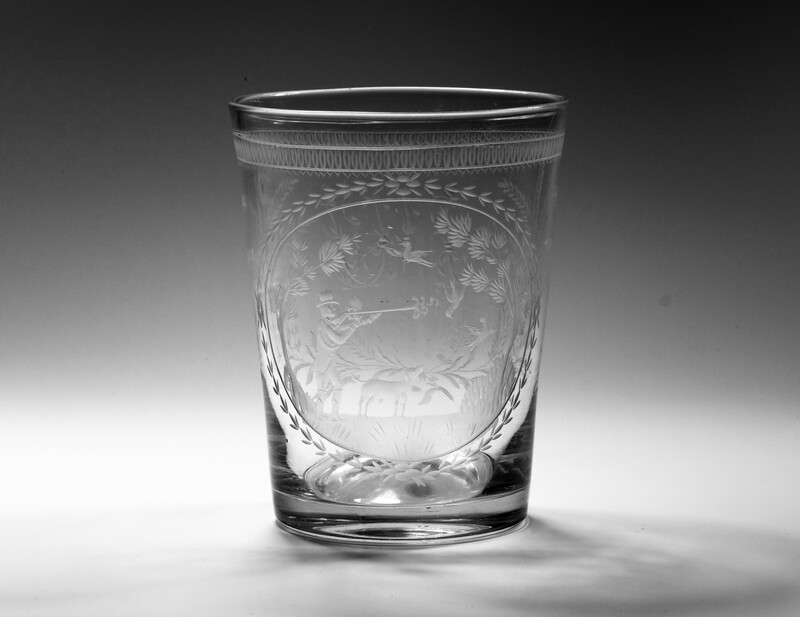 The Large hunting / shooting tumbler English C1800 has been added to your saved items.